Flight Display Director for Scotland's National Airshow at National Museum of Flight. I think this will be my final blog post before Scotland’s National Airshow – it’s all getting a bit busy! 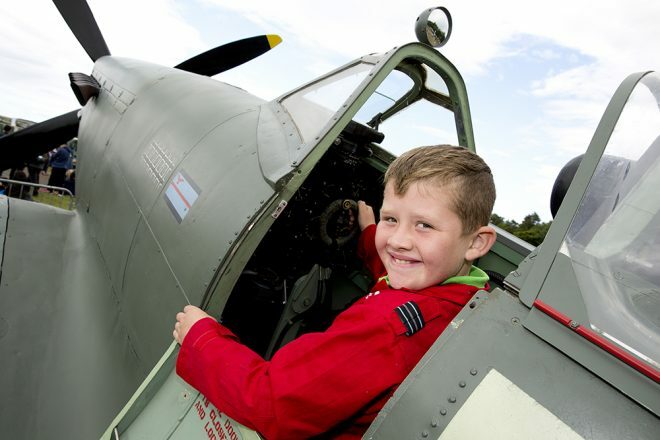 Trying out the Spitfire cockpit at Scotland’s National Airshow © Ruth Armstrong Photography. Strangely, although most people go wild about aerobatic displays or large display teams, as I have been ‘in aviation’ since I left school, I prefer the other extreme – the different participant who we don’t see very often. For that reason I’m looking forward to seeing the Dutch Coastguard Dornier patrol aircraft. It’s an unusual aircraft to see in Scottish skies, and I appreciate that. 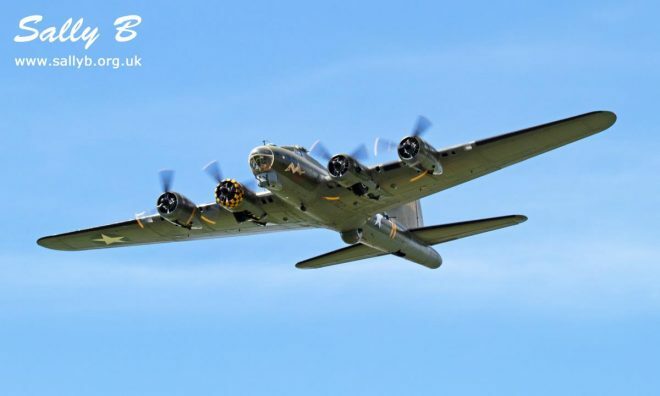 I must admit to looking forward to seeing the B-17 this year as well. We have regularly seen the Lancaster over the years but have never had the B-17, at least since I became involved in the event. My next favourite item must be the Blenheim, flown by John Romain – this is in my mind a truly iconic aircraft, used as a bomber and fighter and the first radar-equipped night fighter in service anywhere in the world. My aviation heroes are anybody who flew in Bomber Command in the Second World War, and, more recently, the Apollo astronauts. I remember sitting up all night when Apollo 11 landed on the moon, and as a spotty teenager I just ached to join them – I would have done anything to become an astronaut. Difficult – but ‘Those Magnificent Men in their Flying Machines’ takes some beating – as does the film actually, probably my all-time favourite flying film (I do have something of a soft spot for early aviation). 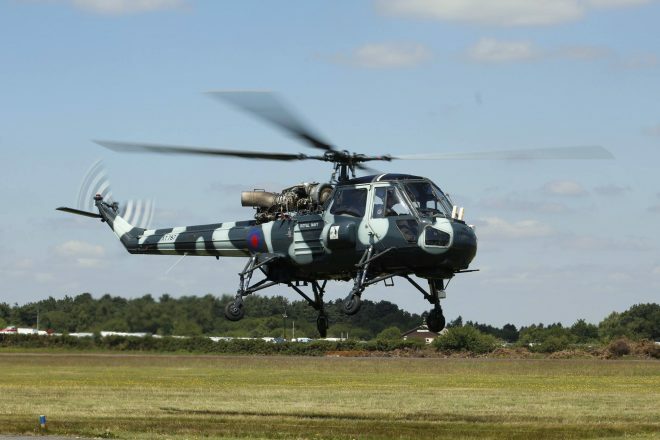 Westland Wasp XT787 will drop in for Scotland’s National Airshow on Saturday 22 July Image: courtesy of Chris Martin. All I have to do now is to ensure all participants are briefed, all my team are briefed, and that decent weather is booked. I’ll see as many of you as possible on the 22 July (I’ll be in the tower), I think it will be a great display! 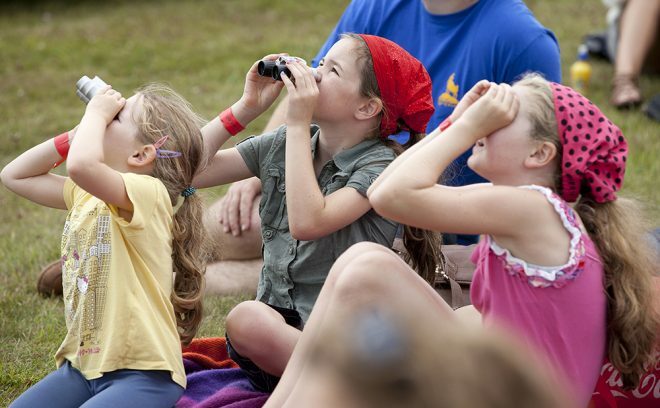 Watching the air display at Scotland’s National Airshow © Ruth Armstrong Photography.